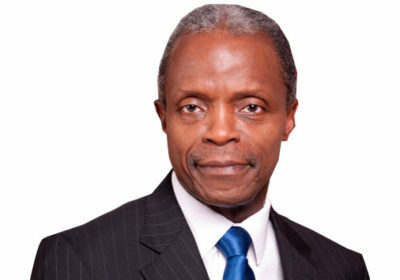 The Federal Executive Council (FEC) yesterday set up a committee, which will suggest ways of reducing food prices. The committee is expected to submit a report to the Council next Wednesday. Minister of Information Lai Mohammed broke the news to State House correspondents at the end of the FEC meeting chaired by Acting President Yemi Osinbajo. With Mohammed were Finance Minister Kemi Adeosun and Minister of State for Aviation Hadi Sirika. Mohammed said the government’s decision was based on its concern about the rising cost of food items. He said: “FEC considered several memos and approvals were given. Council resolved to set up task force on food security. Government is quite concerned about the rising cost of food items and the fact that more often than not even when these products are available they are sold at very exorbitant prices. The inter-ministerial committee comprises the ministers of Agriculture – Audu Ogbeh, Finance – Kemi Adeosun, Water Resources – Suleiman Adamu, Transportation, Rotimi Amaechi, Industry, Trade & Development, Dr. Okey Enelamah, and Minister of Labour & Employment Dr. Chris Ngige. The Offices of the Chief of Staff to the President and the Senior Special Assistant to the President on Sustainable Development Goals, SDGs, are part of the Task Force. Mohammed said: “The important thing is to look at what areas of intervention the government can make. The intervention can be in the area of subsidy in transportation; that is being worked out but this goes to show that government is very much concerned about the rising cost of food price and we are responding to it. Mrs Adeosun said a memorandum on the national tax policy was approved by FEC. Value Added Tax (VAT) on luxury items may go up to 10% from 5%, she added. All tax laws requiring amendment are to be forwarded to the National Assembly. Said the minister: “What the committee has shown is that we should look at actually increasing VAT on some luxury items. VAT of five percent. We have lowest VAT and whilst we don’t think VAT should be increased on basic items. “If you are going to drink champagne you drink Champagne in the UK and VAT is 20%. Why should it be 5% in Nigeria. So they have made recommendations that we should pull out some luxury items and increase VAT on those items immediately. Sirika said that two memoranda were approved for the Ministry of Transportation. He said: “One is procurement of coaches, two first class coaches. Two are for baggage and six for long distance economy class coaches, to improve upon this Kaduna airport project. “This is to boost rail transportation on the Abuja- Kaduna standard gauge railway to improve on passengers and goods and also following the impending closure of the Abuja airport. Also approved was the memo on joint briefing offices in all 21 federal government airports in Lagos, Kano, Abuja, Port Harcourt, Ilorin, Sokoto, Maiduguri, Jos, Yola, Calabar, Enugu, Owerri, Kaduna, Benin, Osubi-Warri, Katinsa, Zaira, Minna, Bauchi, Ibadan and Akure. “And,of course, three aerodromes, namely Bonny, Excravos and Eket. These joint briefing offices will include the air automation and would co-locate the track-up projects, the total radar coverage, the air automation system, which includes the pilot briefing offices.